Improve the population status of at-risk migratory shorebirds and resident waterbirds by increasing protection of important shorebird sites. This project is expanding in scope, but the intital three sites in the new Maullin wetlands reserve network support more than 1 percent of the biogeographic population of the Hudsonian Godwit. The reserves are also important to Whimbrel, Sanderling, Yellowlegs, and other migratory shorebird species. Over 100 species of migratory and resident species of shorebirds and waterbirds have been recorded there. 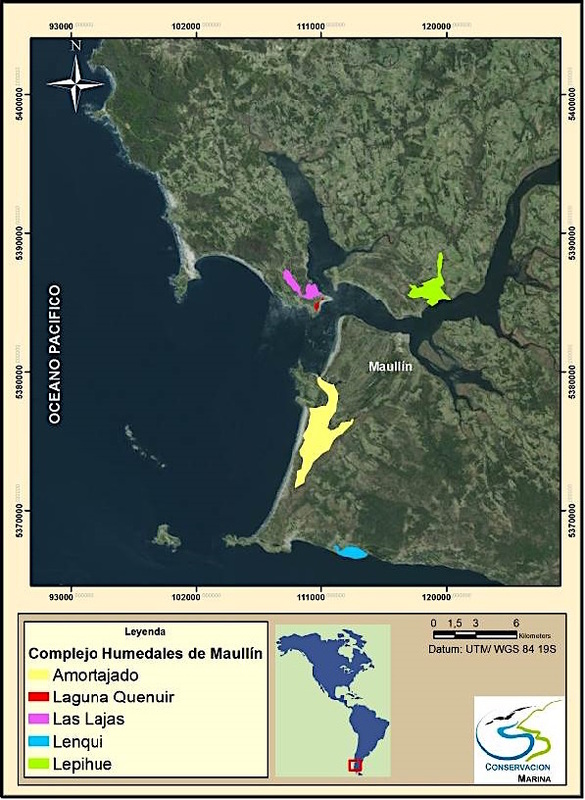 Maullín has several significant coastal wetlands that were formally protected. The municipality was open to designating three coastal wetlands as bird reserves, but lacked capacity to do the needed groundwork and management plan. Enter ICFC partner Conservación Marina, who saw an opportunity to develop bird-oriented tourism and protect the sites for thousands of coastal birds. Threats include unregulated recreational activities, uncontrolled sheep and cattle, and roaming or feral dogs. Other potentical threats include coastal development projects, such as the siting of wind turbines. A Reserve Network of 918 hectares has either been protected by legal agreement or is in the process of being designated. This has been done with broad local support from communities, government and the indigenous people in the region. A management plan was developed through a participatory process and lays out a five-year action plan. Ecotourism capacity has been developed to help attract Chilean and foreign tourists. Local ecotourism providers received training and the project developed a bird guide, a birding trail, public bird observation blinds, and interpretive panels and posters. Tourism provides financial benefits to local communities, which helps to ensure the long-term protection of coastal ecosystems. Another achievement is the designation of the Maullin wetlands as a Western Hemisphere Shorebird Reserve Network Site of Regional Importance. The next phase involves the creation of a much larger reserve system with natoinal level protection. The reserve network totals 918 hectares. In development is a plan to increase the Reserve area to 13,000 ha with a federal-level of protection as a Natural Sanctuary. This project received matching funds from the U.S. Fish & Wildlife Service Neotropical Migratory Bird Conservation Act program. Our partner is the Chilean conservation organization Conservación Marina with project leader Claudio Delgado. This project received matching funds from the Neotropical Migratory Bird Conservation Act program of the US Fish & Wildlife Service. 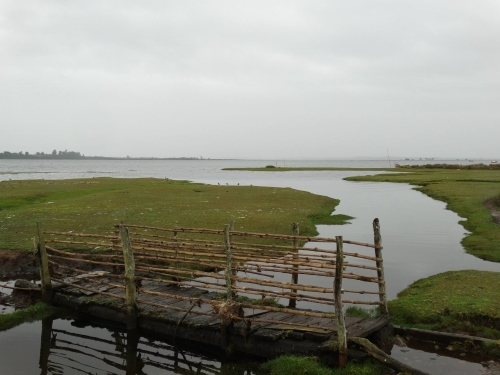 The Maullín wetlands represent one of the largest coastal wetlands in continental Chile and are recognized as an Important Bird Area by BirdLife International for their importance as a feeding and resting area for Nearctic shorebird species of concern, notably Hudsonian Godwit, and for other waterbirds. This project aims to stem the loss and degradation of habitat from unregulated recreational activities (and from the lesser problem of livestock trampling) through the creation of a municipal nature reserve system. The project is assisting the local community to develop birding tourism, which will enhance local support for and appreciation of the reserve network.